The Firth River flows through the most diversely dramatic landscape in the high arctic from the British Mountains to the Beaufort Sea. 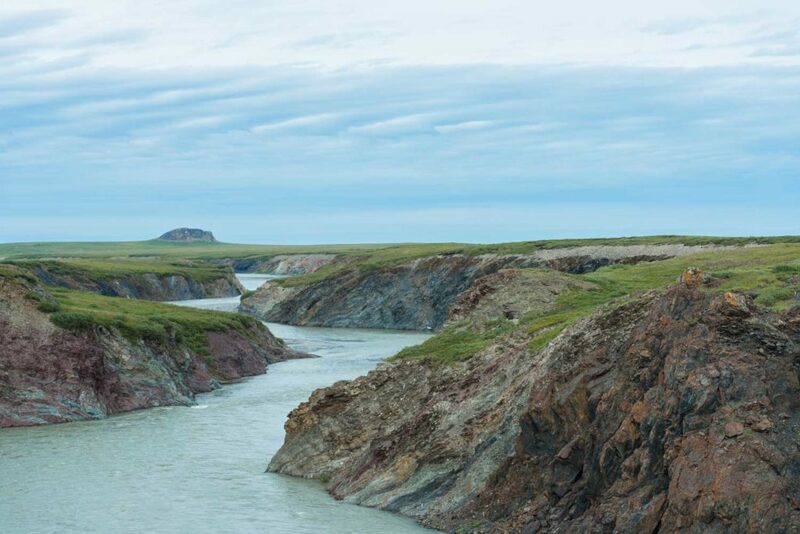 Issuing forth from the north-western corner of the Yukon, the Firth River embraces a spectacular natural region on the continent’s north slope and is the core of Ivvavik National Park. 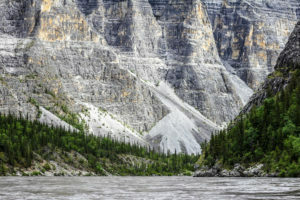 The river flows from the British Mountains on the Alaska/Yukon border, north to the Beaufort Sea, and is incised into a spectacular canyon for half its length. The valley hosts a range of habitats from tundra meadows to rich bench lands, and from rocky alpine ridges to lowland delta and coastal lagoon. 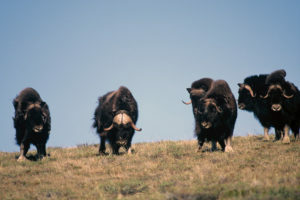 A variety of wildlife species live in or migrate through the Firth valley – musk oxen, Dall’s sheep, grizzly bear, wolverine, wolf, gyrfalcons, rough-legged hawks, snow geese and tundra swans to name a few. The most impressive species in this ecosystem is the barrenland caribou, represented by the 200,000 strong Porcupine herd, which migrates each year from its southern wintering grounds to the calving grounds in Alaska. Because their range includes both Yukon and Alaska, the herd is of international concern. 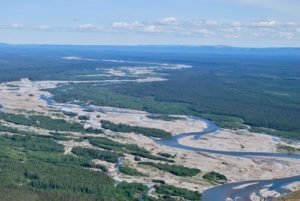 At present their calving grounds are being threatened by proposed oil development in the Alaska National Wildlife Refuge. As a finale to an already very full agenda of rafting, hiking and wildlife viewing, we travel (weather permitting) to the historic whaling site on Herschel Island before continuing back to Inuvik. The flight back is a stunning panorama along the Arctic coastal plain and Beaufort Sea. Once again we cross the immense Mackenzie delta, an intricate maze of waterways and ponds, draining one of Canada’s largest rivers. We may even see Belugas during this flight, a special treat! If you have questions about the Firth River or any of the others that we offer and how they compare, please contact us. We would be happy to discuss which features would best suit your plans. Learn more about the Firth River and how you can experience it for yourself.